Growing up family vacations was my favorite. Making memories, discovering the world with mom and dad by our sides (cheesy, I know). Most kids as they grow up don’t enjoy family vacations as much because who wants to hang out with mom and dad. Other families aren’t able to do that, and I’m so thankful we could! My brother and I didn’t mind hanging out with our parents and I hope that Malachi enjoys hanging out with his parents. I want to give him the same experiences we had with our family. All the adventures he can ever imagine in his childhood especially and into his teenage years I hope. His first little getaways weren’t too exciting, but they required a lot of packing. He went with us to Calgary for the weekend; stayed in his first hotel. 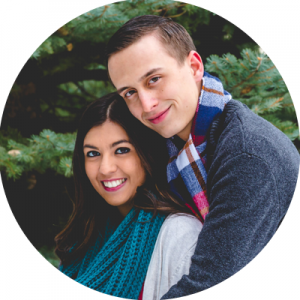 The one night adventures to Memere and Pepere’s house (grandma and grandpa in French. ), about an hour away. 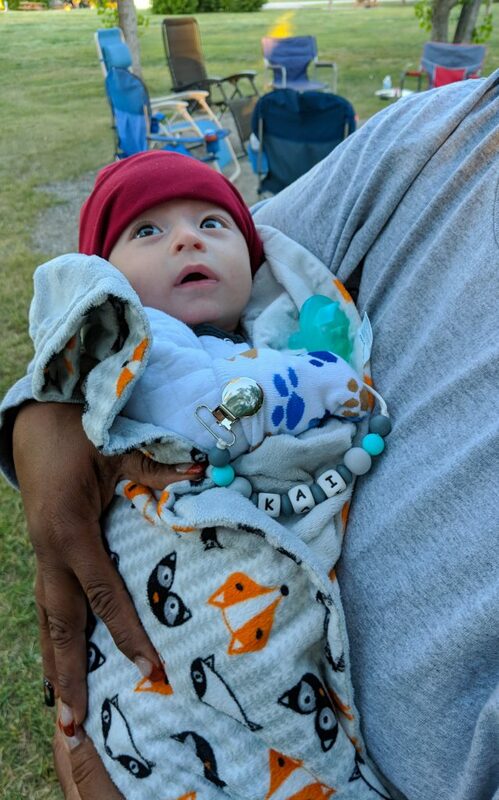 His greatest adventure so far, in his 3 months of life, was to go camping, along with all the essentials for camping with a baby. 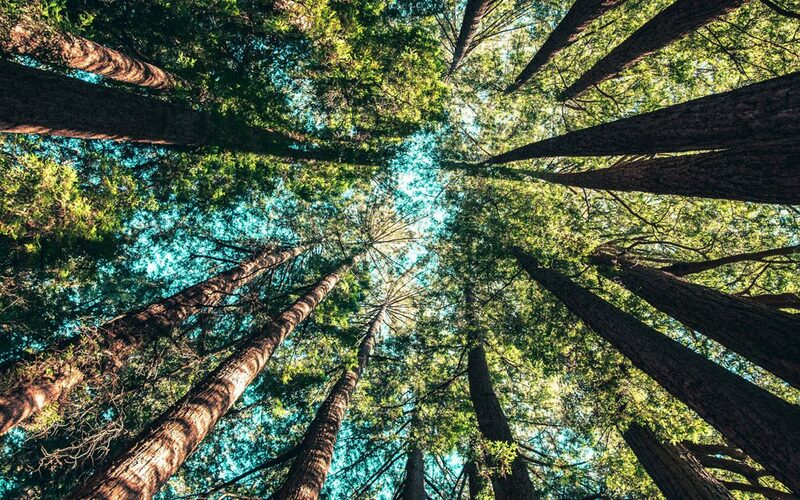 I can’t say that I wasn’t totally freaking out, taking a 2 and ½ month old camping, unfortunately without my husband. We went with my parents and some friends. It definitely was an adventure. It actually went pretty well, thankful for the fact that my parents have a trailer, being that the temperature that day was 33, luckily it was breezy all day so it didn’t feel like it. Air conditioning was a blessing for sure. He loved it, being outside, enjoying his first campfire, watching everything around him. He didn’t want to sleep, too much happening so that led to some breakdowns but all in all, it was a great adventure. 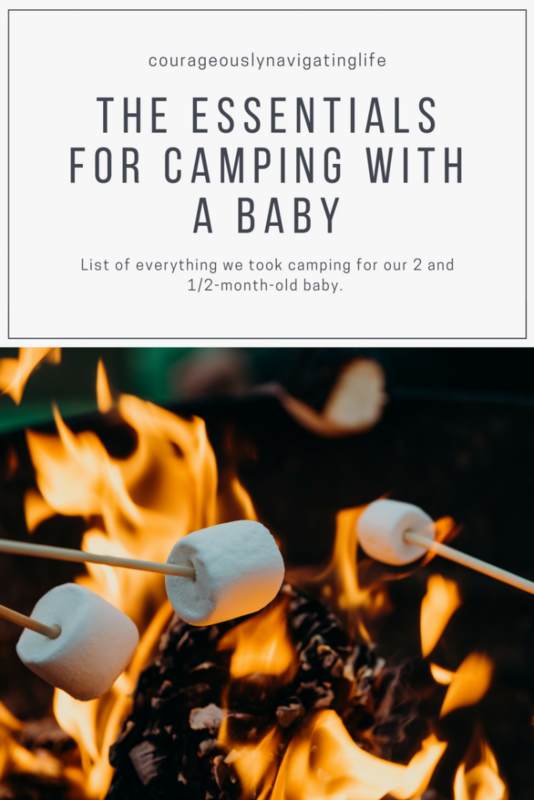 To all the new moms out there with little ones thinking about camping, here’s my list of what I think are the essentials. Playpen: somewhere for him to sleep at night and somewhere for him to lie down during the day (that wasn’t on the ground). 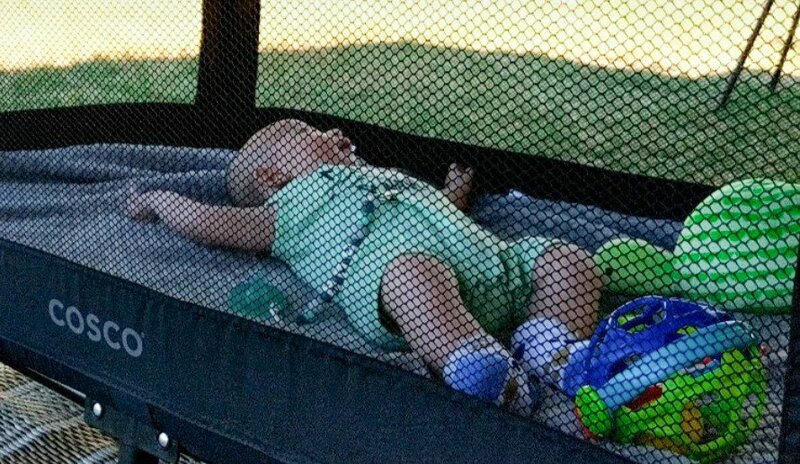 It’s rough terrain, never anywhere perfect to lie him down all the time so the playpen came in handy. Winter clothes: because when that sun goes down. He wore his nice big fleece sleeper at night while we were outside. Summer clothes: for during the day because you know, 33 celsius is pretty hot. Hats, socks, and mitts: again for night time because it got super cold, and if the weather the next day wasn’t great you’d want to have some of those. Basically all clothing for any weather condition. I packed him so many clothes it felt like we were going for a year or something. So. Many. Clothes. Toys: to play with during the day, he didn’t really care for them because he was to busy looking around at everything else and being with everyone but just in case he got bored. Baby carrier: for any hiking or other adventures that might happen. It was too hot to use ours and we didn’t really go anywhere else, but again nice to have just incase. Diapers and wipes: (obvious, but thought I’d mention it)… can’t forget those! And just bring extras. You never know, and a grocery store might be far away. We were running low on our last day out there. First Aid: Never leave anywhere without their baby first aid stuff, thermometer, baby Tylenol, the essentials. Essential for mom: camp coffee (the best coffee out there) and lots of smores… Because you’re not home, who need to watch what they eat! Hope that helps if you guys are planning to do any long weekend camping with your littles. We had a blast. He slept all the way home he was so tuckered out. I had a nice time too, the camp coffee, other people (my parents mostly and his uncle) to help look after so I could get a little reading and tanning in. It was a great first camping adventure and I look forward to many more with him. Hope you guys have lots of fun adventures with your little ones. Stay tuned for more of our summer adventures. PS. Want a printable checklist? Subscribe to my email. I’ll send one your way!